2- You won't take nearly as many pictures of the second child. Just kidding. I draw the line at BM photography. From your baby’s first smile to their first step, Swaddlers can now be there for many more firsts to come! To celebrate Swaddlers sizes 4 & 5, Pampers has 30 days of incredible giveaways and a grand prize of FREE Swaddlers diapers & wipes for a year. Join the celebration and enter their 30 days of sweeps on the Pampers Facebook page: https://www.facebook.com/Pampers/app_1426402564246361 where you can win daily prize bundles, plus the grand prize of free Swaddlers diapers & wipes for one year! Seriously, the thought of not having to purchase diapers and wipes for an entire year makes me a little giddy and I've always loved Pampers brand. The hospital provided us with Pampers from the day both Violet and Ruby were born. Oh! And speaking of firsts- here's a fun fact: until Violet was born I had never in my life changed a diaper. My first diaper change was in the hospital within hours of Violet's birth and every time I smell that subtle, delicious baby Pampers smell it takes me back to those precious baby moments that seem to fly by so fast. If there's one thing that seems to go on forever though, it's those diaper changes. If you have to do it, at least you can be sure that Pampers has your back, and now they even have Pampers Swaddlers available to up to size 5 with that same super soft feel we've come to know and love. So who wants to win some diapers and all sorts of baby goodies?? Want to party with Pampers? 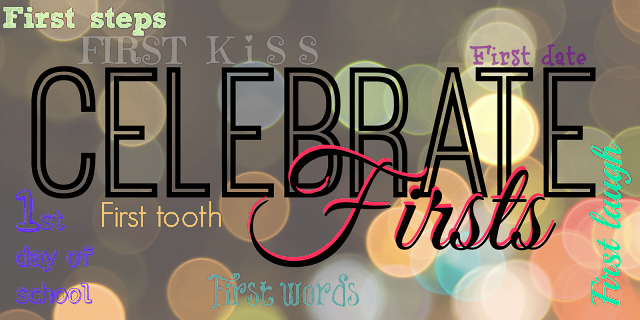 Join the #SwaddlersFirsts Twitter Party! When? December 5th at 9pm EST. There will always be firsts to experience, as a mom living the joys of your baby's milestones and first as a parents trying to navigate it all. You all came along with my for an important blogging first for me today and I hope you will continue to cherish all those amazing moments, even if they find you behind the lens of a camera like me! “This review was made possible by Double Duty Divas and Pampers. I was provided the featured product free of charge to facilitate my review, but all opinions are 100% mine." My favorite first… that's tough…. I think when the kiddos say Mama or Love You.. of course it doesn't sound like that. My kids were preemies and the hospital only used Pampers. I have fond memories of their diapers days not only because they're now out of them :) That's great that you caught those memories on tape. I've started taking more videos again. Life gets so busy. I'm a new follower of yours on Bloglovin and would love it if you linked up to my weekly Hop (http://www.journeysofthezoo.com/2013/12/bloglovin-hop-december5.html). My favorite was Baby's first cry!